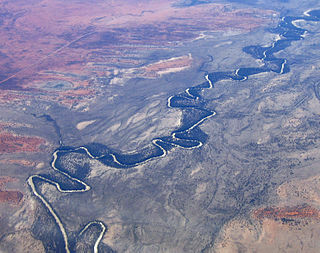 “While we’ve been witnessing downpours throughout northern Australia, everyone is now hoping that recent rain that fell in the northern Basin will gather pace to give some respite from the ongoing drought,” Mr James said. “Now that rainfall is creating flows in some northern rivers, the MDBA will be using satellite monitoring systems and on-ground data to monitor the flows and their impact. “Understanding how the landscape responds to new inflows will inform water management in the northern Basin. “Data collection, analysis and interpretation will also help us understand how much floodplain area and river length receive water, how local ecosystems respond, the impact on water quality, and what the event means to local communities, including Aboriginal communities. Mr James said some of this flow might reach the Barwon-Darling River over the next three weeks. “The use of satellite technology to inform river management was becoming standard practice,” he said. “The ability to monitor how water behaves and how it moves through the waterways and surrounding landscape is a game changer,” he said. Unauthorised take is not necessarily the problematic issue, it’s authorised take which has made it legally possible with MDBA oversight for the (comparatively small) crop due for harvest by corporate cotton growers to consume over twice Sydney Harbour’s capacity in irrigation water whilst townspeople & small farmers all along the Barwon-Darling & tributaries have no / foul water in the river courses.